For a truly wonderful pillow, perfect for comfort and support, these pillows contain a blend of small fine feathers and fluffy white down sourced from the slopes of the Pyrenees, with a blend of small duck feather and high loft duck down. 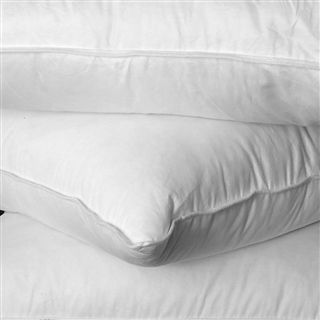 The outer casings are high quality 300 thread count 100% cotton down proof cambric with a piped edge. Fully machine washable at 40 degrees.